How effectively is your incoming power being used? This question is referred to as the “Power Factor” and is measured between one and zero. A high Power Factor means high efficiency. For example a Power Factor reading of 0.8 means that 80% of the incoming energy is being harnessed by your electrical equipment. Conversely a low reading shows inefficient power usage. Most electricity providers charge according to how much power enters your system, rather than how efficiently it’s used. Consequently, if your system isn’t optimized with Power Factor Correction, you end up paying for electricity that you don’t use. It’s simply “recycled” back into the grid. 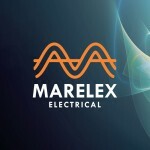 Marelex Electrical can install Capacitor Banks which function as Power Factor Correction or PFC resulting in improved incoming energy use and reduced peak demand on the network and ultimately, the savings will be reflected on you energy bill. Return on investment often in under two years. PFC Equipment (and the ongoing savings) can last for longer than 25 years. Increased distribution capacity reduces the likelihood of power loss, voltage fluctuations and equipment failure. Dramatically reduces your carbon footprint. Reduced grid demand and therefore possibility of blackouts and lost production.